EXCLUSIVE / Euro MPs and environmentalists are urging the European Commission to take rapid action to prevent Poland from building two huge new 900MW units at a coal plant, in violation of EU laws on Carbon Capture and Storage (CCS). The Polish Prime Minister, Donald Tusk, has said that he will build the €2.7 billion units in Opole, even though they have not been assessed for CCS-readiness, as required by an EU directive that Warsaw currently faces infringement proceedings for defying. Any Polish success in facing down Brussels on the issue could affect the fate of other European climate laws which the country has not ratified, such as the renewable energy and emissions trading directives. Jo Leinen, a Socialist (S&D) MEP, told EURACTIV that the proposed build at Opole was “illegal” and should not take place without adequate modern standards for climate protection. Leinen and five other MEPs from five political groups last month tabled parliamentary questions on the issue to the EU's climate action commissioner, Connie Hedegaard. Emissions from Opole are expected to top 1.5 billion tonnes of carbon dioxide over the next 55 years and could prevent Poland from meeting its target of generating 15% of its energy from renewable sources by 2020, according to a study by the Polish Climate Coalition (PCC). The Polish government says that tighter European Commission emissions controls require it to shut down or upgrade up to 5GW of old polluting coal-fired plants by 2016 and so new capacity is needed to prevent power shortages. But the PCC study found that renewable energy on the Opole plant’s 1.8GW blocks would produce 60% more energy, while reducing carbon emissions six-fold. The carbon compromise between coal and renewables – CCS technology that could one day transport and bury planet-warming emissions – is not on the Polish table. Poland is the only EU state not to have notified the Commission of any measures it has taken to comply with the CCS directive, which compels space for future technology to be left vacant next to any new coal plants. Two years ago, the Commission launched infringement proceedings against the coal-dependent central European country as a result. But the Polish prime minister, Donald Tusk, has made new construction at Opole a litmus of his energy policy – despite concerns about its profitability – and confrontation with Brussels seems likely. “The government will find the funds and a way for this investment to be carried out,” Tusk said on 6 June. Nine months earlier, Poland’s Supreme Court had ruled that Opole's extension was legal, because the government had not written the CCS directive onto national statute. That in turn has called into question the writ of the EU’s law, with potentially serious financial consequences for Warsaw. In the EU’s case against Poland’s non-transposition of the renewable energy directive, Brussels has asked the European Court of Justice to fine Warsaw €133,000 a day until it complies. No ruling has yet been handed down. But in a sign of the high stakes involved, Brussels and Warsaw are remaining tight-lipped about it. But legal issues are not the only hurdle that the Opole plant extension still needs to clear. Last April, the plant’s owner Polska Grupa Energetyczna (PGE), pulled out of the project, citing concerns about its profitability, although it later relented under government pressure. On 14 August, the French energy giant Alstom was reported to be joining the Polish builders Rafako, Polimex-Mostostal and Mostostal Warszawa in building the new power plant. But plans to begin construction in mid-August have been delayed until 15 December, according to Polish media reports. And that gives Brussels a window to act, say environmentalists. “The European Commission must move quickly to ensure that facts on the ground are not created while the specific conditions of the CCS directive remain unmet,” Julia Michalak, a spokeswoman for Climate Action Network told EURACTIV. Once construction of the two new units has begun, it is unlikely to be reversed. Carbon capture and storage (CCS) technology aims to capture carbon dioxide emissions from coal-fired power plants or energy-intensive factories and bury them in underground stores, like depleted oil and gas reservoirs or geological cavities. By the end of 2010, 234 CCS projects were active or planned globally, a net rise of 26 from 2009, according to the Global CCS Institute. This was despite soaring costs and cancellations by European countries including the Netherlands and Finland. Poland should seriously rethink it’s membership in Useless Union. Cheers to Poland for actually creating 1.8 gigawatts of reliable affordable energy for its prosperity and truly greening the planet by restoring a bit of the anabolic half of the respiratory cycle of life rather than waste their resources defiling tens of thousands of hectares of their landscape with bird choppers incapable of supplying such constancy . Just tell the anti-life watermelons to ruin their own countries . Where is the experiment – a real, conducted experiment not a computer simulation – that shows Co2 has anything to do with the climate? Can’t find it? I’m not surprised, it does not exist. The whole edifice of “man-made climate change” is an outrageous scam. Tony , I didn’t say it does . See my http://CoSy.com for the basic physics . You can’t get it from the watermelons . There is no field of applied physics anywhere nearly as retarded as planetary temperature . Clearly changes in CO2 concentrations sufficient to sustain green life have at most a barely detectable effect on our spectrum and therefore our mean temperature . However , the additional molecule per 10,000 of air we’re seeing is , not surprisingly , visibly greening the planet as seen from satellite : http://www.csiro.au/en/Portals/Media/Deserts-greening-from-rising-CO2.aspx . ” Stuff It ” or we leave the EU . The EU has become a hateful overbearing institution that is fast losing respect . There is a lot of discussion over what is the effect of Carbon Dioxide on Temperatures, and if Carbon Dioxide was responsible for climate change, then why did the World warm up in 1820 after over 200 years of unusual cold, and this is discussed at http://en.wikipedia.org/wiki/Little_Ice_Age . If Carbon Dioxide was heating up the Planet, then the Northern Hemisphere would be pumping as much Carbon Dioxide into the atmosphere to have warmer winters, otherwise those Leaders of the Cold Winter Countries would be Traitors to the People, and might be on Trial for Treason for not wanting Warmer Winters. This is all the Evidence we need, because Warmer Winters means lower heating costs for a Country, and it allows Crops to be grown for a longer time during the year, and so if Carbon Dioxide was responsible for Increasing Global Temperatures then the Other Hemisphere would be pumping Carbon Dioxide into the atmosphere. The Truth of the Matter is that deforestation is what has been going on since the beginning of the 20th Century till our day, and Governments who are known to Lie on Occasions do not want to reforest the Planet because this will cool the Planet, and the Leaders of the World Suspect because of Scientific Research that the Human Race cannot survive with Trees, and they know that the Human Race cannot survive without Trees, and so they do not know what to do. I am of the Opinion that the Secret Scientific Research that the Human Race cannot survive with Trees is flawed, and if the Human Race is in this Condition, then it is better to have Trees, because if the Planet cools, then the timber can be used for heating. The real Global Climate Problem is deforestation, and the Solution is to Spend Money to reforest the Planet, rather than to Conduct Wars, and the Mafia Style Emissions Trading Scheme is just a Money Laundering Scheme for Western Politicians and their Rich Plutocratic Masters who Fund the Elections of their Puppets. Very strange crop of comments, one does wonder who is paying for this stuff – the Koch borthers? or perhaps the holidays brings out the strange and surreal in people – ah well keep taking the tablets chaps – you may get better one day. I want to say that I believe in Climate Change, and we all know that there are 4 Seasons in a year, and History tells us that Climate does change, even when you cannot Falsely blame Carbon Dioxide, and it would help if People first read the Article at http://en.wikipedia.org/wiki/Little_Ice_Age . While any Relevant Factor that can influence Global Temperatures contributes to Climate Change either good or bad Climate Change depending on where you are and what type of Climate Change comes your way; the Climate does Oscillate, even without changes to the Carbon Dioxide Levels in the atmosphere. This has been PROVED by recent Recorded History at http://en.wikipedia.org/wiki/Little_Ice_Age , and this time Please Read the Historical Scientific Evidence Article if you have not done so as yet, and you will discover that there are Many Factors that have an Influence on the Climate. However, there is One Factor that is Deliberately Ignored by those who blame Only Carbon Dioxide, and that is the Effect on Climate Change because of Global Deforestation, because this is Global, then it Must Be a Major Factor for Climate Change either good or bad Climate Change depending on where you are and what type of Climate Change comes your way. Al Gore who we know was Vice President of America, might have had Tutoring on the Ways of Deception, and Al Gore is not a Scientist, and he has made 1 Billion Dollars Profit from Book and Film, and his Book is called An Inconvenient Truth, and there could be People who know that some Political Speak can be Deciphered, and they may think that Al Gore’s Book should be called A Convenient Lie. This is because some People might think that having an Extra Billion Dollars in the Bank is Convenient, even if you have to Lie for it, while others might think that an American Politicians is FAR TOO PURE to ever tell even one little LIE. If anyone is being Paid, then it would be those who are who Sponsor the Myth that Carbon Dioxide is a Pollutant; whereas the Fact is that Carbon Dioxide is a Vital Plant Nutrient that is making the deserts bloom, and just type the words “carbon dioxide making the deserts greener” into an Internet Search Engine and you will find Much Information on this Matter such as http://www.sciencedaily.com/releases/2013/07/130708103521.htm . The Western Plutocrats have made their Western Puppet Politicians Lie to People that Carbon Dioxide is a Serious Problem, and Scientists who want work have had to go along with this Lie that is sheltering us from Secret Scientific Research that the Human Race cannot survive with Trees and that the Human Race cannot survive without Tress, and so the Scientists and Governments do not know what to do, and I will provide Scientific Evidence for this. We know that Experts have described a Rain Forest as a Desert with Tress on it, and History tells us that the the Sahara Desert was once a Tropical Rainforest at http://en.wikipedia.org/wiki/Sahara . The Trees bring up water from the ground, and this goes into the Atmosphere and this produces Clouds especially inland, while we know that evaporation from the Ocean creates Clouds over the Oceans, and this does cause rain on Coastal Regions, but these Clouds rarely last long enough to rain too much or often enough in many inland regions. Clouds reflect the sun’s rays, and reflect a significant amount that heat back into outer space, and this causes Global Cooling, and a Cooling Planet means that the heating costs of a Country will increase in Winter, and so Countries who are importers of Energy can Bribe Western Politicians not to plant Trees, and to Invent a Mafia Style Emissions Trading Scheme which can be used Launder Dirty Money from the proceeds of Crime, and can be used by the Plutocrats and their Western Puppet Politicians to Cheat on their Taxes. If Carbon Dioxide was heating up the Planet, then the Northern Hemisphere would be pumping as much Carbon Dioxide into the atmosphere as they could to have warmer winters, otherwise those Leaders of the Cold Winter Countries would be Traitors to the People, and might be on Trial for Treason for not wanting Warmer Winters. This is all the Evidence we need, because Warmer Winters means lower heating costs for a Country, and it allows Crops to be grown for a longer time during the year, and so if Carbon Dioxide was responsible for Increasing Global Temperatures, then the Northern Hemisphere would be pumping as much Carbon Dioxide as they could into the atmosphere. The Truth of the Matter is that Deforestation is what accelerated since 1850, and this is the time that the Earth began to warm at http://en.wikipedia.org/wiki/Deforestation . Governments who are known to Lie on Occasions do not want to reforest the Planet because this will Cool the Planet, and the Leaders of the World Suspect because of Scientific Research that the Human Race cannot survive with Trees, and they know that the Human Race cannot survive without Trees, and so they do not know what to do. I am of the Opinion that the Secret Scientific Research that the Human Race cannot survive with Trees is flawed, because Some Scientists (SS) will say what they are Paid to say, and if the Human Race is in this Condition, then it is better to have Trees, because if the Planet cools, then the timber can be used for heating. I am also of the Opinion that those who have Vested Interests, and who Control the Western Governments and their Main Stream Media would even resort to destroying Coral Reefs to push this Global Warming Myth of a Problem, Compared to the Real Problem of Deforestation. I want to say that Many in the Environmental Movement are not complicit with this, but are Deceived, because the Western Plutocrats Green or the Western Plutocrats Dirty Money is the Only ‘Green’ Concern to some Politicians. The real Global Climate Problem is Deforestation, and the Solution is to Spend Money to Reforest the Planet, rather than to Conduct Wars, and the Mafia Style Emissions Trading Scheme is just a Money Laundering Scheme and Tax Evasion Scheme for Western Politicians and their Rich Plutocratic Masters who Fund the Elections of their Puppets. I note that you appear to disagree with the comments here , think we are a bunch of nutters , or even being paid for our views . How about you give your informed and constructive opinion on the EU proposing to fine Poland , or Poland planning to build coal fired power stations . Mr Barnaby – er why? I agree the very long one is way out and even the previous shortened version is pushing a particular agenda . Deforestation certainly does effect rainfall and therefore can create climate change . The EU is sold on climate change caused by man made Carbon Dioxide emmissions ; therefore two coal fired energy plants in Poland is against EU rules . There are many around the world who believe that manmade emmissions contribute little to the current climate change and global warming . There argument is that climate change is a natural phenomina that man has no control over . It is said that in southeast Asia where lots of rice is grown in vast areas of paddy fields , that the evaporation of the water creates gasses that damage the ozone layer , thus causing global warming . However , we wouldn’t ask the farmers of southeast Asia to stop growing rice . I have heard that the deforestation of one time forested Africa , has brought about the deserts , fierce heat and drought . Whereas the journalist is very long winded , giving us his whole article , he does have some valid points as stated in his final paragraph . Vast sums of money are mis-spent on wars and the like . I cannot see your point to join the discussion , only to criticise other commenters . Your comment on the journalist long scribe is just that , never mind the content . So these people would be scientists would they? Published papers to support this “belief” that you could point to? Mr Journalist has a fair point about forests/de-forestation – and offers no solutions. Exactly two societies-countries have successfully re-forested in the recent past: Japan in the Shogunate and Germany. Pity Mr Journo did not mention that. So a reduction in the ozone layer causes global warming? Really? Are you sure about that? What do you base this on? Any peer reviewed articles on the subject? As I understand the EU belief in man made global warming is based on research by scientists at the university of East Anglia . Their research has since been shown to be faulty and failing to prove that man made emmissions have the effect that they claimed . Britain and the EU who believed in the findings of their research have been left ” With Egg On Their Face ” and are still trying to brazen it out . So what are your credentials ? As yet NO scientists have proved anything either way beyond reasonable doubt. The research at the University of East Anglia has been discredited . You don’t quote the findings of any research , and for all I know are no better informed than I . As yet you haven’t made any constructive comment on the article relating to the EU wanting to fine Poland if she builds two coal fired power stations . Perhaps you are a discredited scientist or an EU insider , who simply takes offence at the comments here . Mr Barneby you refer to “proof” with respect to climate change. As you know mathematics is able to prove rigourously certain formula (angles triangle in a plane = 180 degrees). Science uses hypotheses, empiricism and theories. Coupled to peer reviewed papers this allows us to arrive at workable/useable views and theories on “how the world works”. Your first para is palpable nonsense but probably fits with your somewhat skewed view of the world. Mine sits with the 97% & counting of scientists who have published peer reviewed papers (on the subject of global warming) that do take the view that global warming is a) happening and b) is casued by human action. My credentials are largely irrelevant (apart from the ability to read & understand). In the case of Poland, Euractive have documented the gaming that Poland does with respect to the EU ETS. The current coal-stattion saga is merely a continuation of this gaming. The EU has some cheek to try force Poland to comply with EU rules when the EU itself has been found in breach of its obligation to carry out a strategic Environmental on Assessment it own renewable action plan. The EU signed the Aarhus convention in 2005 which cemented Aarhus into the existing EU framework. The should have carried out the assessment as to what renewable structures were to be built, where they were to be built and what co2 savings would result. But no they did not and EPAW now has a case before the European Court of Justice to force them comply. There are some of us who Care about the Planet, and who consider that is it worth proving sufficient Information in the Hope of Saving the Planet. The Reason I provided what Wikipedia had to say, was because some Critics who have been too lazy to Investigate the Historical Scientific Facts, and they cannot Slanderously Accuse Wikipedia Research of not taking their medication. There is a lot of discussion of Carbon Capture and Storage, and we all know that Trees capture Carbon Dioxide from the atmosphere, and keep the Carbon which is stored in the Wood, and they release Oxygen into the atmosphere. This is also true of other Vegetation, and Tress and other Vegetation, along with rivers and ponds, provide food, water, and habitat for Many Species of birds, animals, and insects. The Question is why have All these Scientists and Environmental Politicians who are against Reforestation of the Planet and therefore the Saving of the Planet for All Life on it, been the Only ones that the Western Main Stream Media have been Promoting? We will have to Assume that it was Ignorance that they Always Excluded Global Deforestation from being one of the Significant Factors, but they are no Longer Ignorant, and so we now know their Intentions for this Planet. This is because something as Colossal as Global Deforestation cannot be Ignored, and I believe the Evidence Proves that Global Deforestation is one Significant Cause of Climate Change, and This is Something that Humans have the ability of Control. If those who were Supposedly Concerned with Carbon Dioxide in the atmosphere and of Saving the Planet, would talk about Reforestation of the Planet rather than wasting Money on Wars. There are a few Possible Explanations for this, and some of those Reasons are that the Environmental Politicians are Completely Ignorant on the Environment, or that they are Complicit with the Plutocrats. I am of the Opinion that those who have Vested Interests, and who Control the Western Governments and their Main Stream Media would even resort to destroying Coral Reefs and Sea Anemones to push this Carbon Dioxide Climate Change Myth of a Problem, Compared to the Real Problem of Deforestation at http://en.wikipedia.org/wiki/Deforestation . I have no Proof of this, but I know the Track Records of those who have More Human Nature than the Average Person to put it Mildly and Diplomatically, and Website on this are at http://www.abc.net.au/news/2013-08-20/scientists-warn-sea-anemones-are-vulnerable-to-bleaching/4900230 , and http://en.wikipedia.org/wiki/Coral_bleaching , and Some Scientists (SS) know what Chemicals could do this. There could be People who think that Some Scientists (SS) are working on Genetically Engineered Lethal Viruses that can kill 99 % of the People of the World in less than a week, and then finding the Vaccines for those Genetically Engineered Lethal Viruses, and they could be right, because Technology does Advance. These People might further think that Government Prioritize Funding for Scientific Research, and they just do not have any Money Left for studying Global Deforestation, or even to Fund Global Reforestation. As it has been Proved Over and Over again, that there are Many Factors that are Completely Beyond the Ability of Humans to Control at http://en.wikipedia.org/wiki/Little_Ice_Age . I am of the Opinion that the Scientific Research that says that Humans cannot survive with Tress or Vegetation is Flawed, because Albert Einstein said that if bees ever disappeared from the Earth, then Humans would have only 4 years to live, and we know that Tress and Vegetation Provides Food and other Products for Humans. Mathematics is a precise science . Science based on hypotheses , impiricism and theories is not . The fact that a notable scientist writes a convincing thesis to back up the research , does not necessarily convince one that he is without doubt completely right . It is a scientific opinion that carbon emmissions created by human industries and activities ; but there is not any real concrete evidence to prove that it is so . You choose to believe the scientists are right ; whereas I and many others , believe that climate change evolves over the years irrespective of human carbon emmissions . In this time of global warming the US and Europe had an exceptionally cold winter 2012/13 , historical weather patternes have changed , the climate has become warmer or colder . That 97% number sounds like and is like the reported vote for Dear Leader in a dictatorship . It is patently stupid propaganda . 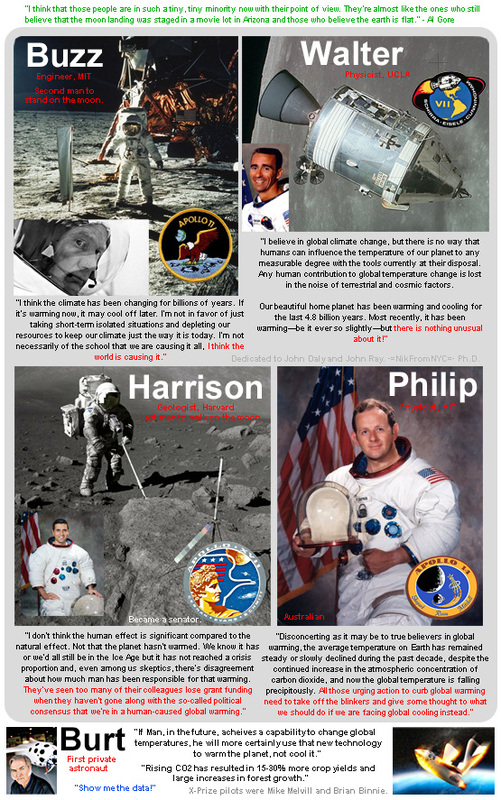 Were it true , how can you explain all the astronauts and other NASA personnel who are disgusted with the politicization of their once great agency : http://a2.img.mobypicture.com/8e1234d649766adfef528feb438395b9_large.jpg ? My mantra on this nonscience is “show me the physics” . The level of math and physics I see in the blogsphere is amateurish to be kind . 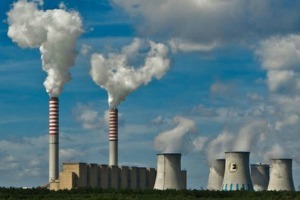 Poland is building coal fired power plants against the wishes of a high authority. Just glad they did not choose Nuclear. So far the only objection expressed on this comment thread is that this construction compromises the efforts to ‘save the planet’ from Anthropogenic Carbon Driven Catastrophic Global Climate Disruption. Well, Mr. Parr, I’m from Minnesota so you are barking up the wrong tree trying to convince me that GHG’s are bad. Climate Change is an unavoidable Fact! As such “warmer” seems much more desirable than “colder”. If one is not happy with the Climate Changing… go to the Mall. I’m enjoying watching your fellow Americans suffer drought conditions in many states (it is particularly satifying watching the Texans suffer) – and as global warming strengthens you can expact more drought – and at some point a significant part of continental USA will be unihabitable. I don’t suppose this will change your attitude – but you may be glad to know somebody somewhere is watching “you lot” suffer & frankly enjoying it – given the happiness the USA tries so hard to spread throughout the world one senses fates hand. my attitude will change if the US becomes an uninhabitable dessert as you apparently gleefully predict based on your idea of ACDDCGCD. Until then, I will look at the droughts, wild fires, tornadoes, hurricanes, floods, acne, and other human tragedies as nature as usual though not as severe as I remember in years past… and not likely caused by an extra 50 molecules of carbon in the air. Then again, perhaps these events Are caused by your Other ‘faith based’ reason for believing Man is responsible for everything bad that happens. Yes, The Hand of Fate! Both belief systems appear to be equally grounded in science. But don’t dis Nuclear . It’s actually got an excellent safety record even under extreme events , and people are working to cure any weaknesses as they are discovered . I would assume the Poles plan to use SoA stack scrubbing technology . A Japanese group claims to be the world’s best — make your coal plant as clean as gas , but a company here in Colorado Springs says they can match them .